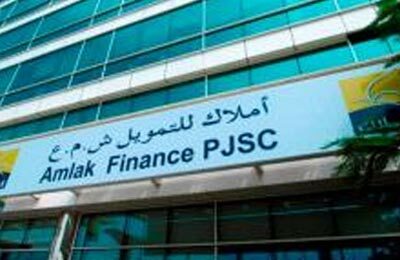 Amlak .... makes solid gains from its debt restructuring. Dubai-based Islamic mortgage lender Amlak Finance posted a 22 per cent rise in attributable net profit for 2014 on Wednesday as gains from its debt restructuring offset write-downs in its property portfolio. Amlak's net profit attributable to equity holders rose to Dh58.9 million ($16 million) in 2014 from Dh48.2 million ($13.1 million) a year earlier, according to its financial report announced on Dubai's bourse. The company signed a $2.7 billion debt and financing restructuring deal with creditors last November after protracted negotiations since its shares were suspended in November 2008 in the wake of the global financial crisis and a local real estate crash. Amlak's auditors noted in the statement that the firm had not adjusted the value of its property portfolio between 2009 and 2014. This was a period where property prices initially slumped significantly in the emirate before rebounding in the last two years. When addressed as of December 31, 2014, Amlak was forced into booking a Dh2.1 billion ($571 million) fair value loss on the portfolio, the financial statement said. However, Amlak also reported Dh1.9 billion ($517 million) in gains from fair value adjustments on a mudaraba instrument linked to its restructuring deal, investment deposits and other Islamic financing.